Photo scanners: These are small scanners designed specifically for scanning snapshots. You feed in a snapshot and get a digital image for editing, or you might skip the editing step and direct your scanned output to a photo printer. These scanners are slowly being phased out as the use of film declines. 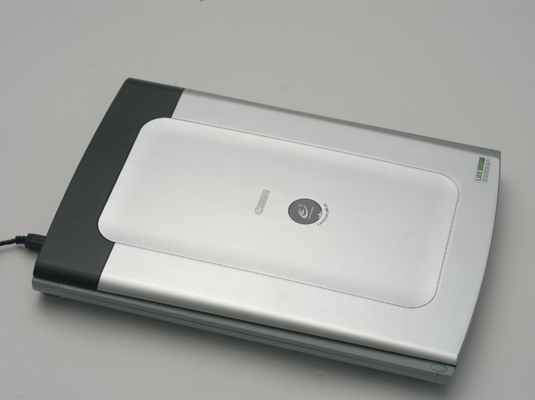 Flatbed scanners: These are the most widely used type of scanner. They look and operate something like a small photocopier. You open the lid, place your original face down on the glass, and scan. Flatbeds are usually limited to scanning 8.5 x 11 (or sometimes 8.5 x 14) material, but the movable cover makes it simple to grab images of thick originals, such as books or even some 3-D objects. Flatbed scanners work like photocopiers. Slide/transparency scanners: You use these high-resolution scanners to scan color slides (in 2 x 2 mounts), strips of film in sizes from 35mm to 6cm in width, or sheet film up to 4 x 5 inches (or sometimes larger). These scanners can’t scan reflective copy, such as photographic prints.